Most individuals do not comprehend most of the United States’ tax laws, but this is not surprising. Federal and state tax laws are complex, convoluted, and ever-changing. It is no wonder people often seek the advice and guidance of reputable tax advisors in order to accurately and timely help them complete their annual returns along with other reporting requirements. But sometimes, even after you have compiled your paperwork, picked your tax advisor, and filed your returns, you suddenly get an IRS notice with a penalty – now what? Congress has formulated rules that allow taxpayers to request penalty abatement; and one such reason for abatement is the reliance of a tax professional. Do not think it is as easy as having hired a professional, though. Simple reliance does not guarantee that the penalty will disappear. The IRS imposes a failure to file penalty if a taxpayer does not file a return on or before its due date (including extensions) and will be subject to 5% of the tax due for each month the return is late up to a maximum of 25% of the tax due. The failure to pay penalty is usually less and is imposed at a rate of 0.5% for each month the payment is late (excluding extensions), up to a maximum of 25% of the tax due. It is possible that these penalties can be avoided if the taxpayer meets the reasonable cause requirement for reliance on a tax adviser. The courts abate failure to file penalties because of reliance on an advisor or professional only in rare circumstances. The overarching attitude is that a taxpayer should be aware of when a tax return is due every year. This date is fixed, easy to find, and never secret; therefore, a taxpayer cannot reasonably fail to file on time due to reliance on a tax professional. It is more likely than not that the IRS will win on this one. On the other hand, is much easier for a taxpayer to qualify for reasonable cause due to reliance on a tax professional in the context of the failure to pay penalty. This is because when the IRS disallows a deduction or adds an item of taxable income, it is plausible that you relied on the tax professional’s advice regarding the taxability or deductibility of that item. Compare this to relying on a tax professional’s advice or services to file a return on time, which is something most people are aware of anyway, and you can see why abatement is easier for failure to pay. Sometimes, even after giving your tax professional all the pertinent information, the IRS still finds that you substantially understated your income. The substantial understatement penalty is in addition to the failure to pay penalty, and is 20% of the unpaid tax liability. The substantial understatement penalty is similar to the failure to pay penalty in that it can arise when the IRS disallows deductions or adds income. 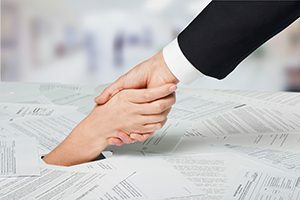 If the taxpayer ensures that the information they are asking, providing, and receiving is within the scope of a tax professional’s knowledge, then they have a good case for abatement under reasonable cause reliance on a tax professional. However, If a taxpayer is not forthcoming with correct details or knows the matter is a tax shelter, then reasonable reliance will likely not be found. Courts heavily scrutinize the facts and circumstances to determine reasonable reliance, but generally taxpayers cannot just blindly accept any and all advice from a tax professional. If guidance comes across as incorrect or inconsistent and the taxpayer realizes the absurdity in the information, the taxpayer will undoubtedly not be able to claim reliance on a professional to abate the penalty. Although receiving abatement for tax penalties due to reliance on tax preparers or professionals can be difficult , they are not entirely uncommon. If you feel that you are now going through tax troubles due to no fault of your own, our attorneys at Dallo Law Group can help decipher the details of your situation. Our approach comes from being both CPAs and lawyers with many years of experience in tax court and with IRS negotiations. We can examine your facts and circumstances and apply the legal rules to see if you could qualify for reasonable reliance on a tax preparer or professional. Give us a call at 619-795-8000 to discuss further.